Vein doctor in Spring Hill, Fl, Dr. Thomas Kerr has dedicated his life to the field of vascular surgery and the study of venous disorders in order to deliver the best results and care for his patients. He has improved the health and has saved the lives of thousands of patients suffering from venous insufficiency, peripheral arterial disease, carotid artery disease, aortic aneurysms and all other life-threatening vascular and arterial disorders. Dr. Kerr has performed every kind of vascular surgery ranging from simple varicose vein removal to complex emergency vascular surgery. Vascular specialist, Dr. Kerr earned his medical degree from Temple University, and then completed his internship and general surgery residency at Temple University Hospital. Dr. Kerr became one of the acclaimed Kachelmacher Memorial Research Fellows, and studied under Dr. John J. Cranley, published original research and lectured on vascular topics. Dr. Kerr also completed a fellowship in vascular surgery at Good Samaritan Hospital, in Cincinnati. Then, after being awarded a traveling fellowship from the Society for Clinical Vascular Surgery, Dr. Kerr traveled to Europe to further his training with world-renowned vascular surgeons. In addition to becoming a Board Certified Vascular Surgeon and a fellow of the American College of Surgeons, Dr. Kerr also became a board certified physician in vascular interpretation (RPVI). With so many certifications in his name, and after being one of the few vein doctors who have passed four separate board examinations, Dr. Kerr has become one of the top vascular surgeons in Spring Hill, Florida and in the Country. Dr. Kerr has authored multiple book chapters, has co-authored a book on vascular disease, and has had multiple peer-reviewed articles on venous disease published in respected medical journals. He is also a Clinical Associate Professor of Surgery at the University of South Florida. All his dedication and specialized studies of venous disorders has allowed him to become one of the first recipients of the American Venous Forum Research Foundation Award for Studies in Venous Diseases, and a recipient of the Taylor-Caswell Teaching Award from Temple University. After reading Dr. Kerr’s career accomplishments, you probably already know that you can put all your trust in such an experienced and world-renowned vascular surgeon when it comes to your vein and arterial problems. 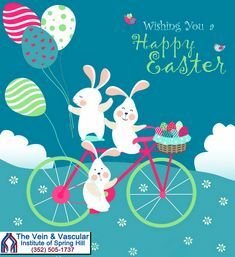 To schedule a consultation with vein doctor, Thomas Kerr, here at The Vein and Vascular Institute of Spring Hill, give us a call at (352) 505-1737.